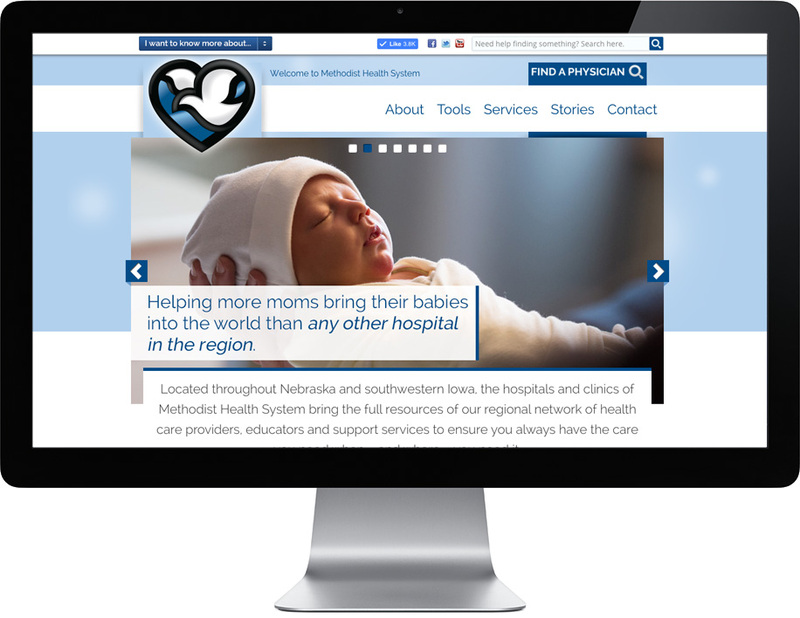 When it came time to redesign Methodist Health System's main site BestCare.org, we worked with Methodist’s interactive department to evaluate and set goals for the project. The main goal for the redesign was to provide users with a simple, intuitive experience while still communicating Methodist’s wide range of services across numerous locations. We used image based navigation to showcase Methodist’s four main service locations: Methodist Hospital, Methodist Jennie Edmundson Hospital, Methodist Women's Hospital and Methodist Physicians Clinics. BestCare.org became the hub for learning more about those four locations. It also became the foundation for the consistent look across all properties. Studying the analytics from the old site, we tracked the most popular areas of the site and added those as a quick links section in the header of the new site giving users a consistent place to find what they need. The content for the site was rewritten with search engines and readers in mind. The search engine results increased and page visit duration increased indicating a better user experience. It was no small feat to organize all of the information for a health system in a way that wouldn't overwhelm the user and still make it easy to find what they were looking for. Taking this approach communicates to Methodist Health System's patients that The Meaning of Care® extends to every facet of their organization—even online.